The Prime Directive. It states that the Federation won't interfere with the evolution and direction that uncontacted planets are going through. However, an observer on a pre-contact planet has died and the Federation wants to find out what happened. Will your crew be able to solve this mystery without accidentally revealing themselves to the inhabitants? 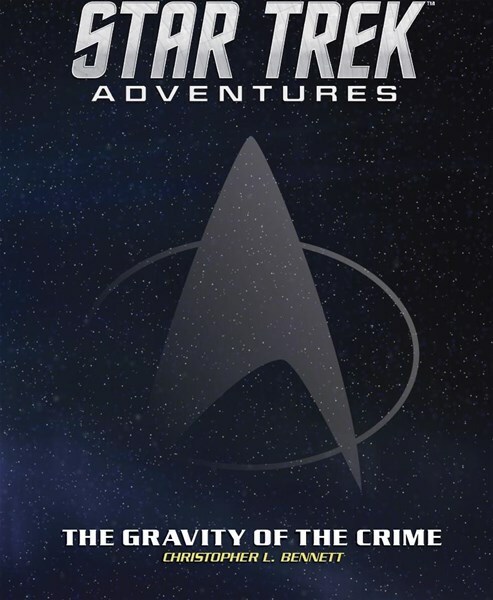 That's your job in The Gravity of the Crime, a new adventure for the Star Trek RPG that's been released by Modiphius. Welcome commander... Your orders are go undercover on the pre-contact planet of Kalmur to investigate the accidental death of a Federation observer. When a Kalmuri experiment into artificial gravity goes wildly wrong, an experimental device explodes crushing everyone within the test lab, including a Starfleet scientist, Lieutenant Li, who had infiltrated the project as an observer. Sent to investigate this apparently accidental death, your team is confronted by a Kalmuri detective, Lanox, who is convinced the deaths are the result of sabotage. Can you solve this classic locked-room murder mystery without violating Starfleet's Prime Directive?